We care about enviroment. All our products are Oeko – Tex certificated. As we are producing products also for babies we thougth that we should do the healthiest products. 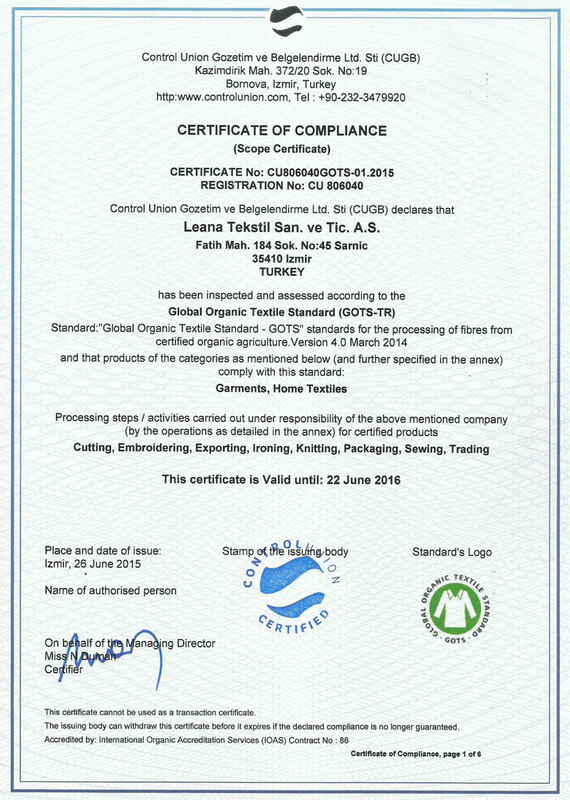 We offer fully Organic products, certificated by GOTS. 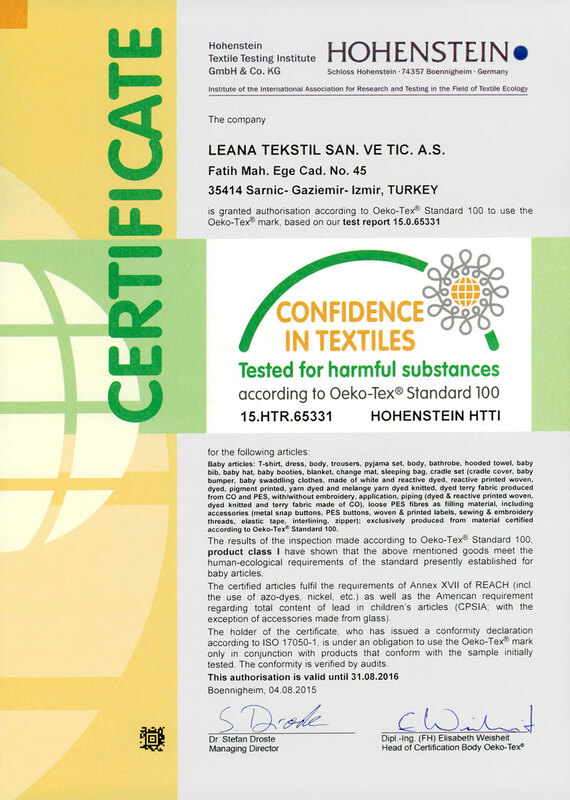 Leana Tekstil was Founded in 1995 in İstanbul /Turkey. On 1999 it was relocated to İzmir / Turkey. With over 17 years experiance we gladly continue to give the best service to our customers all over Europe. With 160 staff, we have reached to a capacity around 100.000 pcs / month. The main product group - which is around 75% - of the Company is Baby and Children garments together with Nursery Items (Such as Beddings, Bibs, Bathrobes, Changing Mat etc.) for Babies. Remaning 25% of the capacity is for Women & Men Knited garments. Leana Tekstil San. ve Tic. A.Ş.